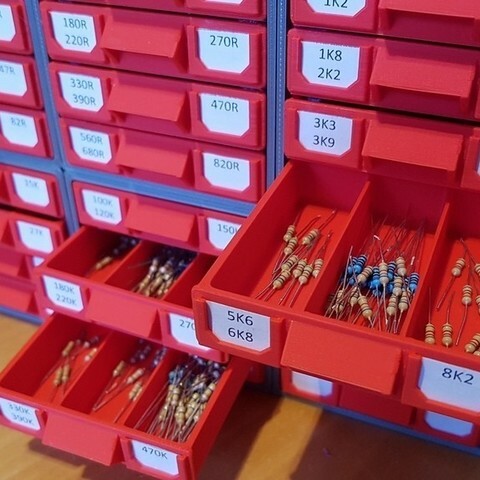 Organize and store your resistors in this neat stackable drawer box. 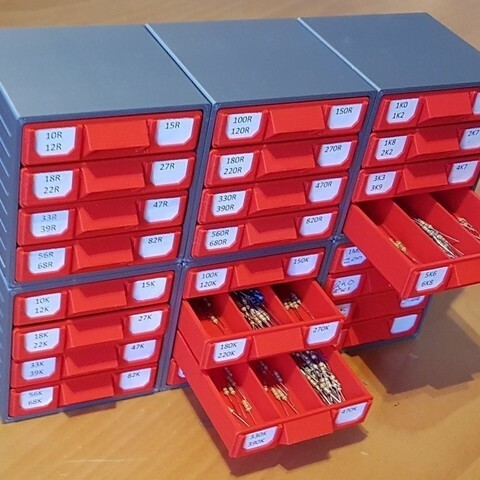 Each drawer had 3 compartments with a length of 7 cm (2.76 inch) that are fit for standard trough-hole resistors. 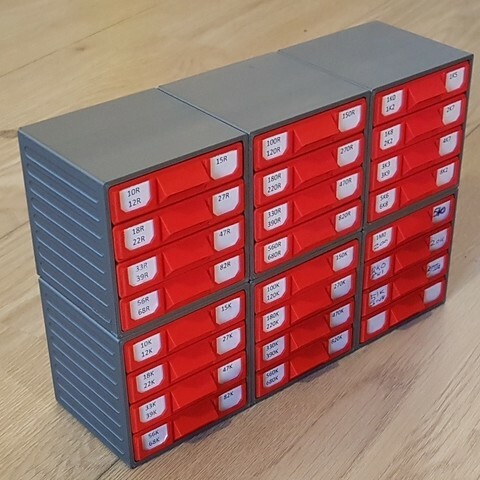 You can stack as many boxes as you need using the connectors. The drawers will not fall out if you open them. Everything is easy to print, without supports, although to make it fit nicely you need a decent printer, and the handle on the drawers expect some 'bridging' from your printer (turn part cooling fan on for PLA). 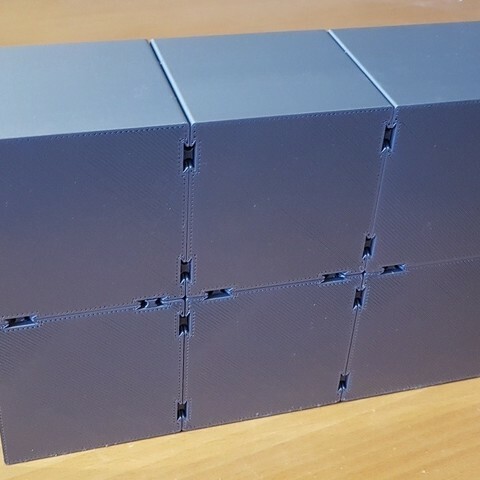 It was specificaly designed to be printed at layer height of 0.2 mm, and layer width of 0.48 mm (standard for 0.4mm nozzles). Although it will probably print OK in other settings. A glue stick is suggested for keeping the labels in place, although it is not strictly necessary. For stacking, you need to print the right versions of the boxes. The names of the STL files should speak for themselves and tell you where in the array that box will fit. For any requests or comments, please post a message.